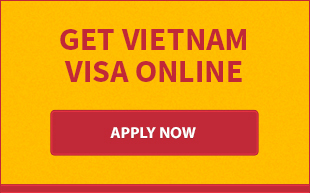 Aiming to bring about a whole new experience to our clients, we would like to provide you with our various ranges of optional services, besides our visa on arrival at www vietnamvisa-easy.com, which are categorised in different packages and options. Your time at the airport will never be easier and more comfortable. All you need to do is relax and leave all the burden to us. Book any from these basic options and you will receive a Vietnam SIM card as complimentary from us. This is a well-loved assistance service. Our clients deserve the peace of mind that we are able to expedite them through the entry procedures at the airport. Stamping Assistance is designed to save time, remove inconveniences and expedite the immigration procedures. Pay USD 21 for EACH (exclude stamping fee) and have our representatives as your personal assistant at the airport. Ore representative is in charge of completing the entry procedure and getting your passport stamped at the airport within a few minutes instead of waiting for a long queue at the Immigration counter. Our service functions at three international airports in Vietnam applied to passengers of all flights. HOW STAMPING ASSISTANCE SERVICE RUNS? Get your passport back with Vietnam Visa stamped within few minutes. This service is recommended when passengers have transit in one of the three airports in Vietnam: Noi Bai, Tan Son Nhat, and Da Nang airport. Passengers will find our staff with a board of their name at the first step into immigration area. We will help speeding up your check-in and transit procedures You have an international flight to catch but have to go through Vietnam domestic connection? No worry as our service staff at the airport will assist you in accelerating connecting progress which should consist of baggage reclaim, transferring to international terminal, check-in, passport control and custom, security check. All you need to do is book with us in advance. Vietnam's international airports but your destination is another one, and you have to take domestic connecting flights? Just book our service and no more worrying about being late for your flight. You will find our staff at the first step into immigration area and from there we will take care of your visa stamping, customs, baggage reclaim, transferring to domestic terminal, check-in, security and passport control. In order to provide more and more useful services for our clients, we offer Car Pick Up service from any Vietnam international airports to your concrete address in the city centre. Using the service, you will experience drivers who are careful and well-trained, which may help increase your feeling of safety and satisfaction to our service. 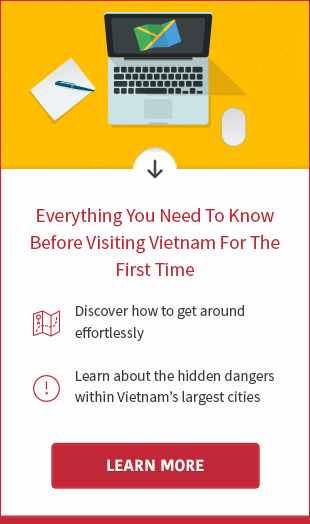 Worrying of traveling around Hanoi? Vietnam Visa – Easy is delighted to provide you with Vietnam's authentic transportation forms. There are three options offered to customers: taxi, motorbike rental, and moto taxi. For your convenience, our taxi drivers and motor taxi riders will pick you up at your accommodation address and drop you at any places you wish to visit. Our transporters will then wait until you come back and take you to your next stops. We also provide taxi service for our customers arriving in or visiting Ho Chi Minh City and Da Nang. Service fees stay the same as in Hanoi. Vehicles rental booking can be made after your arrival in Vietnam when you deliberate you would need one. You are in Hanoi, HCM city, or Da Nang and in need for a ride to the airport? Why not think of us? To improve clients' satisfaction, we also operate high-quality taxiservice to the airport with reasonable price. Our taxi drivers will pick you up at your address in the city, give you a safe ride to the airport, and you will definitely not be late for your flight. With customer-focused orientation, we aim to be a helpful hand to our clients even when you leave Vietnam or depart for domestic flights from Noi Bai, Tan Son Nhat, or Da Nang airport. This service is a good choice for those who are in a rush. Our check-in assistance will support and advance you through check-in without waiting in a long queue. Who doesn’t love McDonald’s combos? Bigger portion, better value. We are not exceptional, and that’s how we came up with the idea of combos. Along with a free sim card, clients using one of the options from our combo packages will have 1-night free stay with a friendly Hanoian family. How wonderful is that? The family will host you, introduce Vietnamese culture, and give you some travelling tips in Vietnam.